It is important that you take your budgeting seriously because if you fail at your budget, then the likelihood is that you are going to increase the debt that you owe and that isn’t good for your budget or your finances in general. There are steps, which you have to take to create a budget, I am not saying working within a budget is easy, it isn’t, it takes hard work and commitment to get through the month and you have to do this every month for it to work long-term. 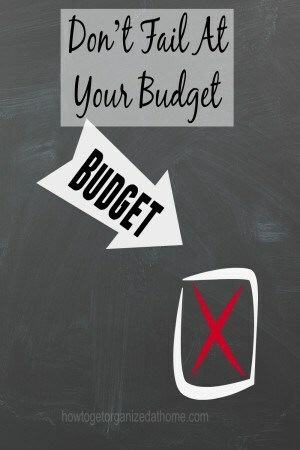 Creating a too restrictive budget is easy, you have these dreams and think that a restrictive budget will work, but in all likelihood you will fail, you will overspend and this will crack your restrictive budget and you will be in a difficult situation. It is better to have a less restrictive budget, one which you can actually make work, that has some treats built-in to make it easier and more manageable. It is possible being strict with your budget, but you do need to have that flexibility with which to work with, that allows for the unexpected or that little ‘pick me up’, it will help to keep you focused and on track. When you are setting up your budget, it is important that you remember to account for those unexpected emergencies that always happen, if you’re prepared for them it isn’t going to cause you to break your budget and that is extremely important. Setting up an emergency fund is easy, it is about putting small amounts of money away each month to cover those unexpected bills, I am not talking about a take-out, running out of grocery money, but for a break down that wasn’t expected like your washing machine breaking, or your car needs a service. It is these types of expenses that you must save for, it will allow you to avoid the need to borrow money; you will have the money there to pay for the repair. A budget not only takes time to prepare but it takes time to change to a new way of running your finances, it is a different way to which you’ve been used to and it takes time to adjust. It is not something where you set it and forget about, you have to work at your budget every week, making sure that you are sticking with the plan. Every month you will need to work out your budget for the month and your plan of action to keep this on track. It is a long-term commitment but it is worthwhile, it gives back the control of your money, you are no longer relying on other people and credit companies to take away any money that you do earn. Any number of reasons might make your budget fail and being prepared for these will ensure that you have the right attitude to succeed with your budget. Too impatient, you want results now! A budget is a great tool, it can help ensure that you are putting your money in the right places and making it work for you. However, it is not easy, it will take time to adjust to a new way of working and it is difficult. But with perseverance it can have a fantastic effect on the way that you live. I use the Money Saving Expert budgeting spreadsheet. I import all my earnings and expenses then I use an app called Goodbudget to keep track of my spending. It keeps me accountable and is helping me reach my goals much more quickly. I think the most important part of a budget is awareness and consistency. It takes work just like anything else! 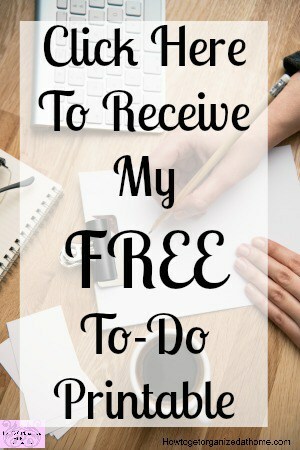 Thank you for the reminders here and for sharing at Snickerdoodle. Budgeting is really important. Many people fail because they make their budget unrealistic. Instead of focusing so highly on cutting out spending, focus on prioritizing spending. Like paying living expenses, utilities, high interest debt, and then putting a little towards a 401k or other retirement account. Nice post!